Women constitute 61% of university graduates, yet their perspectives account for less than 20% of the commentaries in Canada’s largest daily newspapers and on public affairs talk shows. Why aren’t more women’s voices being heard? One important reason is women’s hesitance to speak up, or position themselves as experts. While women today are just as educated (or more educated) than men, and just as ambitious as men, studies suggest that there is still as “confidence gap”. A 2003 study conducted by Cornell psychologist David Dunning and Washington State University psychologist Joyce Erlinger revealed that women often underestimate their abilities. The researchers asked male and female college students to complete a science quiz, then asked them to indicate how well they thought they did. On average the women thought they got 5.8 questions out of 10 correct, the men thought they had 7.1 out of 10. When it came to the actual performance, they both performed almost the same (women got 7.5 out of 10 and men 7.9). The students were then asked to participate in a science competition for prizes, without knowing their score. Only 49% of the female students signed up, compared to 71% of the male students. Not only does a lack of confidence result in women underestimating their abilities, but it also leads to women turning down opportunities that could benefit them. The consequences of this are significant. A lack of women’s voices in the media means that the public is missing out on diversity of opinion. It also means that women’s capacity to influence the policies and priorities of the country are decreased. Additionally, for women entrepreneurs, not speaking up results in a missed opportunity to raise the profile of their business. If you are an entrepreneur you have expertise in your business area. After all, you wouldn’t have started your own business if you didn’t feel you were knowledgeable and capable, and had you had something to offer! It’s time for women entrepreneurs to raise their hands, and position themselves as subject matter experts. You can’t have your voice heard if you’re reluctant to join the conversation. It is vital that you live and breathe your company’s core values in everything you do, and every decision you make through this period of growth. This means you, and the entire management team, should have a deep and shared understanding of your core values, and deliver a consistent portrayal of them to the team. It also means focusing your growth to align with your core values. Although it may be tempting to jump on any and every growth opportunity, taking on something that doesn’t fit perfectly with these values will dilute your brand (externally and internally), and confuse the internal culture. If you don’t know what your company stands for, your employees definitely won’t. In order to get everything done you may be doing two things: becoming more detached from what is happening with your staff, and cancelling team building activities to get more business-related tasks done. This is when you need to stop and evaluate what is urgent versus what is important. Although your brilliant team doesn’t need you to be micro-managing, they do need you to be present and in touch with their reality. Encourage an open-door policy, and schedule time regularly to catch up with the people who are driving the operations of your business. Be careful not to confuse what I mean here for allowing yourself to get caught up in the day-to-day tasks – your focus should always be big picture. Simply put, it means listening to your team and encouraging them to contribute input, while keeping you in check with the morale of the team as organizational changes are happening. Also, make sure you aren’t rescheduling or cancelling team building activities. Spending time together outside of work allows the team to gel, and the more your team gels as a unit the more efficient they will be when working together. So essentially, team activities actually becomes vital and equivalent to growth activities. As the scale of demands expand, it may seem intuitive to try to match manpower just as quickly. Resist the urge and hire SLOWLY. Nothing will derail culture more quickly than bringing in the wrong people. Invest a vast amount of time into developing the proper interview process and questions to help you determine an applicant’s cultural fit. Even more important than skill is passion – passion for what the company is building, and for the industry. Culture is difficult to quantitatively track because it is more of a feeling than a tangible thing. However, there are definitely ways to gauge how your employees feel about the culture of your organization, and systems that can be implemented to encourage it. This can be done through surveying employees and asking them questions such as, “how engaged do you feel at work on a regular basis?’ or “how likely would you be to recommend working at this company to a friend?” Glassdoor is an online review system for employees to rate their companies on, so if you haven’t already checked this out this is an excellent unbiased source of information on how you are doing. You may also take the time to interview your employees face-to-face to get a deeper understanding of how they feel about the culture at your company, how they feel it has changed as you grow, and find out any suggestions they may have to develop the culture. Lastly, you may consider implementing some type of reward system in order to encourage behaviour true to your company’s core values. For example, a system where employees can reward each other points when they see someone in the company do something in their workday that exemplifies a core value of the company. 15Five is a software worth checking out as it is a platform that allows employees to “check-in” with you on various things weekly, answer surveys, encourage peer recognition and provide analytics you can use to improve employee engagement. The chaos that comes with rapid growth is a great problem to have. Internal changes are inevitable, but staying on top of maintaining a strong culture throughout these changes is vital to keeping employees invested, loyal, happy, and efficient as a team. The stronger the culture, the stronger the success of your growth will be. Who do you go to for advice and support? Who do you bounce business ideas off of? Who pushes you to think bigger? If you don’t have an answer to these questions, maybe it’s time to consider peer mentorship. Peer mentorship is a way for entrepreneurs to discuss their goals and challenges, and learn from each other. Unlike a traditional relationship between an experienced mentor and a more junior mentee, peer mentorship takes place between people who have similar levels of expertise and similar concerns. Having a peer group of like-minded people provides emotional support and encouragement, while providing access to a variety of ideas and perspectives. Without a strong network, entrepreneurship can be isolating, and at times lonely. Being surrounded by your peers in a safe and supportive environment can be really valuable to both you and your business. You might find out flaws in your strategy. Even if you have a business partner or employees that you can brainstorm with, there is a benefit to gaining an outside opinion. Peer mentors provide a fresh perspective and this allows you to realize potential problems with your strategy and make changes. “Other entrepreneurs have a special insight and mindset that is hard to find. They will tell you what may not work and provide unbiased feedback. They are not your customers and they are not your competitors. The entrepreneurial group allows you collaborate on ideas,” says Shannon Lenstra, President of Kon-strux Developments Inc., and an alumni of AWE’s peer mentorship program. Create more holistic long-term plans. With a peer mentorship group you receive a higher level of feedback on your business planning, and you get to hear a variety of perspectives. With more people to bounce ideas off of, you are less likely to have gaps in your decision making. They can provide you with the confidence to push forward, and to fail. No entrepreneurial journey is without mistakes. Being surrounded by like-minded entrepreneurs can boost your confidence and encourage you to seize opportunities, without being held back by the fear of failure. Build long-term relationships. Unlike a contracted business advisor or consultant, peer groups build community. Many entrepreneurs maintain relationships with those in their peer mentorship group long after the formal program has ended. They don’t just care about your business, they care about you. Running a business can be stressful at times, and other entrepreneurs understand that! A peer group can provide that emotional support and allows you to talk openly with people you can trust. Talk to other entrepreneurs in your network, and ask them if they’re in any groups and what their experience has been like. Inquire with various entrepreneurial service providers in your community and see if they offer a group of their own, or if they can recommend any for your stage of business. Finding a good fit might take some time and you might have to try a couple groups out before you commit to something. 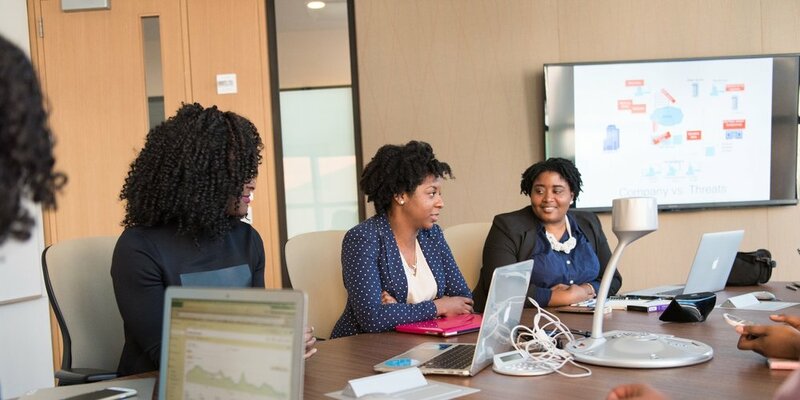 If you’re interested in a peer mentorship program aimed at women entrepreneurs with a strong desire to grow their businesses, be sure to check out PeerSpark™.